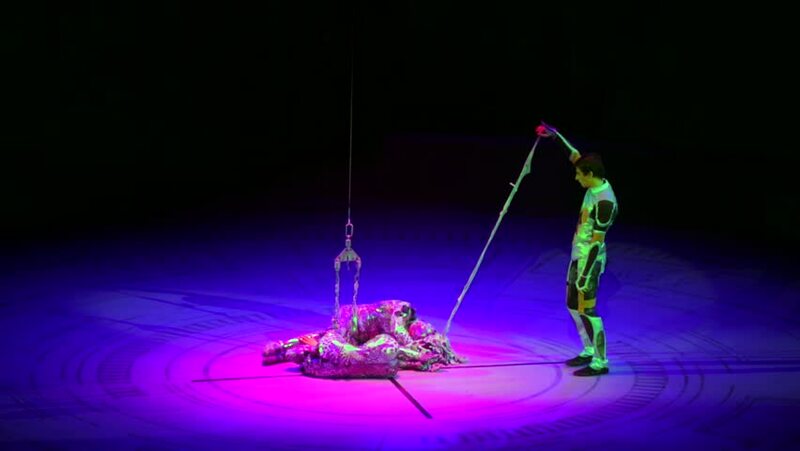 ST. PETERSBURG, RUSSIA - JANUARY 2, 2016: Brothers Zapashny circus, "UFO. Alien Planet Circus" show in Saint Petersburg. Actor performs on the stage, two others lie in the middle. 4k00:30Cellist with electronic cello performs on stage. 4k00:15PARIS, FRANCE - AUTUMN, 2015: The Eiffel Tower in Paris. Night. France. Shot in 4K (ultra-high definition (UHD)). hd00:17Dragonfly hanging on a spider thread and set free by human hand. hd00:11The cicada is a small insect if it's true but it's wings do it. Is so loud roaring The cicada large and mature to make noise up to 200 decibels ever.